The access control solution serves 30 apartments and comprises Videx door entry functionality and an Intratone cloud-based fob key system. Each resident now has an LCD video screen connected to their handset allowing them to see and hear who is attempting access. The system has been extended to include both the front and back trade entrances providing additional convenience for residents accepting supermarket and online deliveries. The highly-secure Intratone key fob system provides each resident with access to both entrances, with fobs distributed to individuals and fully explained to residents prior to installation. Management is able to programme fobs on site using the software provided, updating access as and when required. 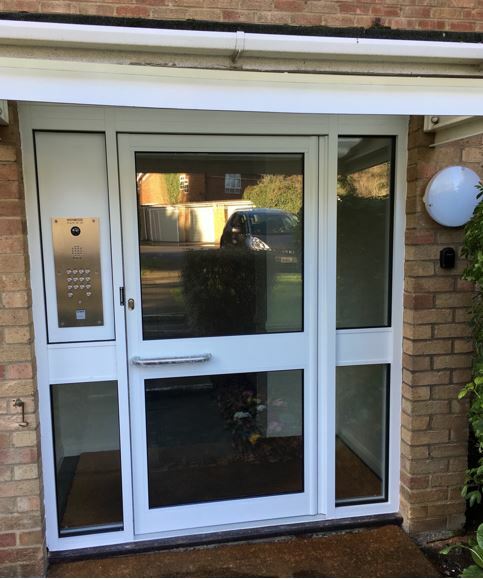 Also installed are new external, aluminium security doors that were chosen for their robust durability and light-weight, yet highly-secure build structure, as well as their suitability for the premises which is in a conservation area.